Eskadron ankle boot is lined in neoprene. Hard, lightweight outer shell with easy-to-use Velcro fastening. One size. Pair. Protection boots from ESKADRON by Ludger Beerbaum Collection meanwhile enjoy a very high level of recognition amongst amateur as well as professional riders throughout the world. The fact that they are so easy to put on and fit so well, combined with their extremely high quality means these boots are an important every-day feature in the stable. The Protection Boots by ESKADRON are easily recognizable by means of the special article card and the original woven label. 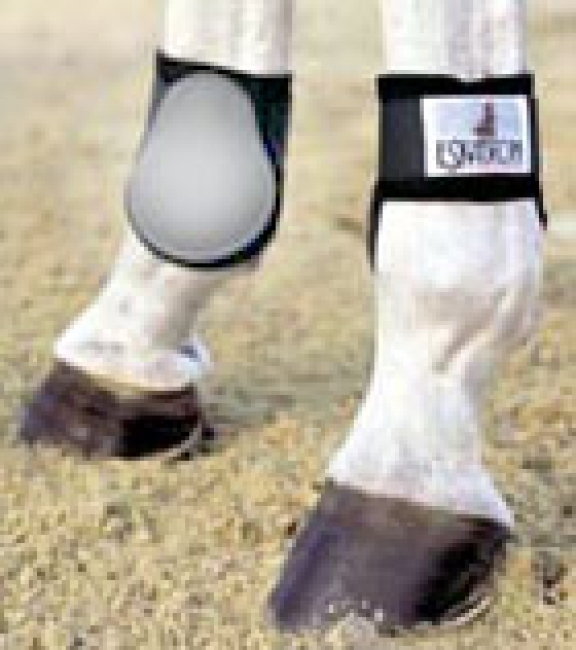 The Eskadron ankle boots, anatomically suited to the horse’s leg are made from TPE with Velcro fastening. Lining: Neoprene that is washable. Matching Eskadron front boots are available.